Grand Opening of the Gnorton Zoo and Sanctuary! The city of Gnorton is hosting a celebration for the grand opening of the Gnorton Zoo and Sanctuary. Many events are planned for the evening. Bring a loved pet or come out to find a new pet to love! 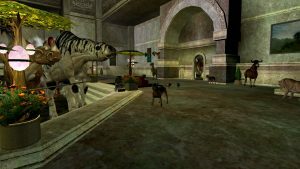 Pet Contest (with a Master Creature Handler Prize)! Location: Outside of Keren, Naboo 196 1331. A shuttle beacon will be placed the day of the event. The much anticipated CLIENT PATCH arrives tomorrow! Patch notes follow down below. The brand spanking new EiF Launcher will be available to load up the patch, as well! Instructions will be available. I’m sure you will all be grateful I didn’t add my *squees* and *happy dances* throughout these notes, you’ll just have to guess at which ones are my favorites! New creature mounts have been introduced! Note that not all variants of a creature can necessarily be mounted – only the largest, toughest versions of some of these animals can carry a rider. Entertainer Missions have been reworked using the new Fame system, which replaces the old Image Designer line in the Entertainer Profession. Entertainers with more fame can command higher payouts, particularly for gigs that require travel. Fame-enhancing clothing and attachments will be coming at a future time. Fame is not retroactive for already-established entertainers. 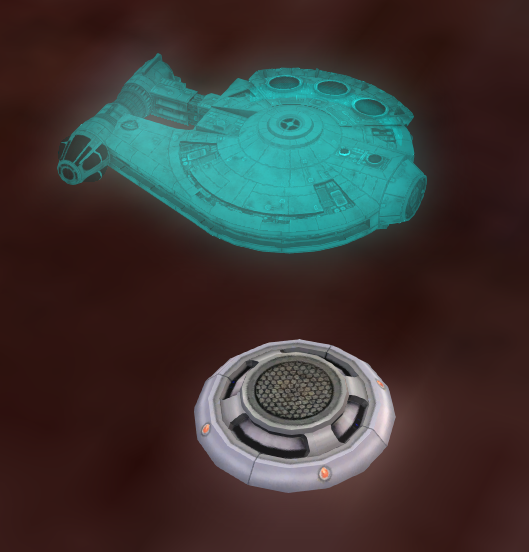 The SWGEmu code that should force an update does not work, and we are investigating and will patch as soon as we have a solution. Only a single entertainer mission can be taken at a time. Munitions crafting has been re-added to the game. See the next Friday Feature to learn more about the Heavy Weapons revamp. 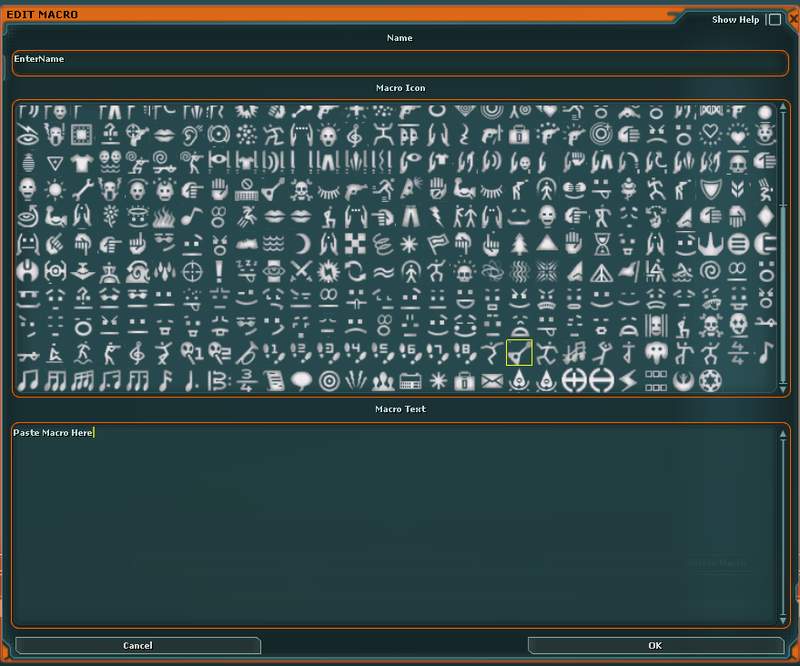 Weaponsmiths now have a number of new cores and components to craft to create heavy weapons. Grenades, mines, and rocket launchers use explosive cores. Flamethrowers and acid rifles use tanks. Heavy beam weapons use capacitors. Light lightning cannons use static cores. Armor slicing has been re-added to the game. The first stage of the GCW has been implemented. All planets participating in the GCW now have factional troops present. (See this Friday Feature!) Planetary control scripting is still in process and has not yet been enabled, but is coming soon. Port Jato, an underworld-themed player hub, can now be visited via friendly smugglers who take cash in advance. These smugglers generally don’t like being found anywhere near law enforcement, but can likely be found at the watering hole of criminal-infested hives of scum and villainy. Devaronians and Kel Dor no longer appear headless when wearing hats or hoods. Ubese armor jackets now correctly offer chest protection. Two-strap bandoleers now use the correct color palette. 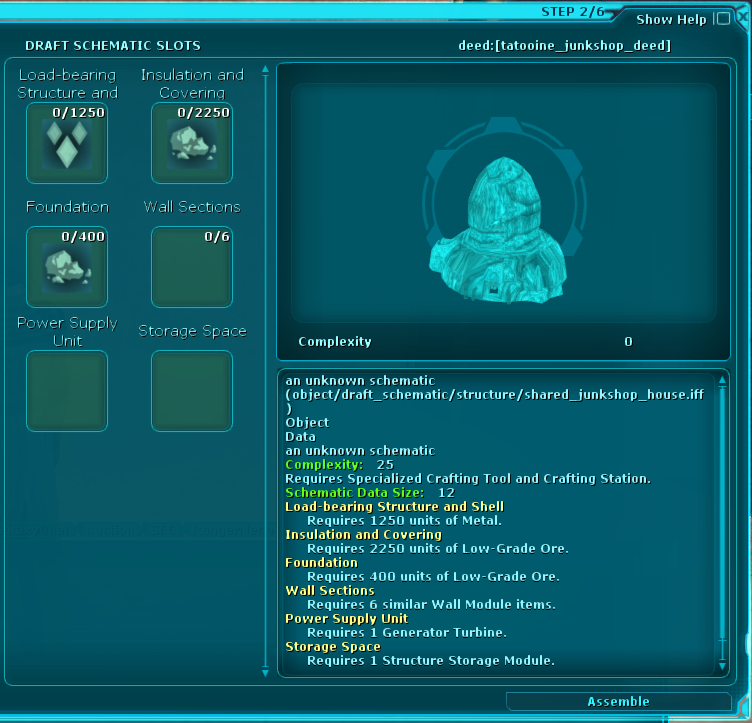 Up to six missions can be taken from a standard mission terminal. BER rates on harvesters have been changed from pre-CU BER calculations to NGE BER calculations. Today’s Friday Feature is guest written by the Mayor of Broken Bridge, Destroy! Thank you for all the time and effort you put into this article, Broken Bridge, and EiF! 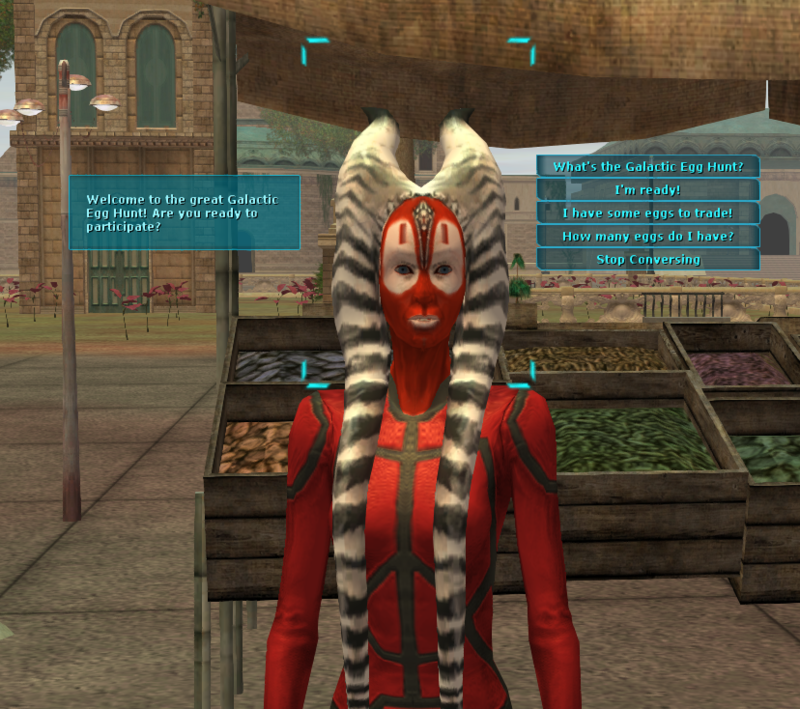 Star Wars Galaxies is a very click intensive game pre-cu. To craft one of my most popular sale items, a medium mineral harvester, without using factories can take 43 clicks. To stock 20 harvesters at a time would take 860 clicks. That is way too much clicking! A way to solve this dilemma is by using macros. 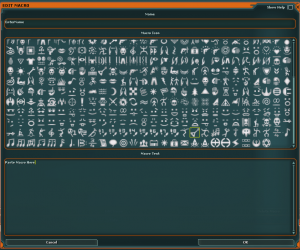 A macro is just a piece of text instructions that tell your character in game what to do without having to manually click or type out the instructions each time. There are some amazing crafting macros that can take the amount of clicking needed down from 43 clicks to just 8 or 9 clicks, and to make 20 of them down from 860 to 180. That not only helps on saving time, but can also keep you from wearing down your favorite mouse, and from possible medical issues later in life. This Friday Feature will discuss how to make your own macros and provide links to a few of my favorite macros which I believe are indispensable to Star Wars Galaxies normal game play. 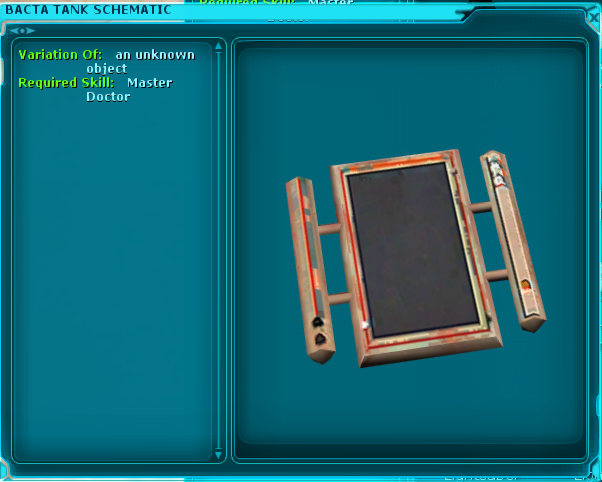 To create a macro using text from this feature make sure to have your copy and paste commands in Star Wars Galaxies setup. Do this in the tools toolbar, controls, then Keymap. 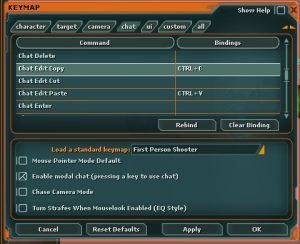 Select the Chat tab, then scroll down to Chat edit copy and select it. Hit Rebind and press your desired keys. I use Ctrl C for copy and Ctrl V for paste, but use whichever combination of keys you would like. Click Apply and OK once you have picked your desired commands. You can then paste text in game from what you copy out of the Friday Feature. 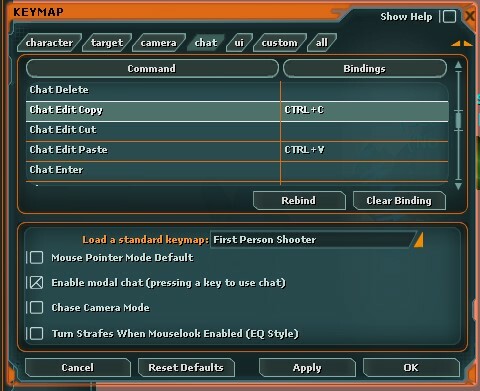 Macros are created in the Abilities and Commands tool from the System toolbar, by default it is tied to the ; key, or can be opened by clicking the toolbar and navigating to the macro menu. Selecting New brings up a blank text box. The name of the macro goes on the name line. Select a picture representing your macro and enter text, or paste the macro text given in this feature. Drag any of the macros you will be calling from your player toolbars out of the abilities and commands macro tab by selecting the macro in the tab and dragging it to your toolbar. Some of the macros below are better used on your toolbar and others are better run straight from the macro tab. I would edit the macro if you are not trying to destroy the item by changing the Crafty_crafter_complete macro as mentioned a few posts down to remove the practice no item text from the macro where it appears. Anything that does not need to be experimented on you would click thru the crafting macro in entirety. But anything that does need to be experimented on you would not use the macro. This is because the crafting macro automatically advances avoiding the experiment option. It is still a huge click saver on all items that do not need to be experimented on as well as a way to grind up your crafting profession with minimal clicking. If you have to move a house full of items you have to select each item and then type out the command which could take lots of keystrokes and time. This can be simplified by setting up just a handful of macros. I use the following macros for decoration setup in their own toolbar for easy access when the decorating bug hits me. Make each one into their own macro and enjoy decorating again. Almost anything in the game will try to interrupt your hand sampling and if you forget to start it again you can be left sitting inactive until turned back on. With a macro it will always start again on its own right where it left off without you having to manage it. Below is how simple it can be written. Managing harvesters after they have been dropped can be a time consuming task. You can use a macro to name your structures, add admins, add power, and add maintenance saving some of this time. Put these commands somewhere in your toolbar and switch to them when dropping harvesters. I keep the naming and admin in the same macro and the power and maintenance in another. Make sure to modify these commands for your specific use and change the color as you would like or remove color completely. You just have to drive or be near your harvester or structure and hit the Name/admin macro once then hit the Power/maintenance macro once for each day you would like a heavy harvester to run. To adjust for medium harvester I believe it is just 1500 or less but it shouldn’t hurt too much to keep it the same for heavy or medium or other structures. You must have cash on hand and power in your main inventory for it to be used in the harvester/structure. If you are constantly hitting the same commands each time you run up to a mob, you can save yourself a few keystrokes by assigning a macro to your toolbar that will process the commands every time the macro is called. Alternatively you can also have your favorite actions always running on a timer, an auto targeting happening for you so you do not have to click on mobs, an auto looting command always trying to loot for you, and your pets always trying to attack your current target, if you want to step away from your keyboard for long periods of time but still have your character level up, loot your favorite item, or gain some faction points. Over time these macros can get out of sync and your character no longer wants to follow the commands. A quick disconnect will usually solve that problem. The following runs your desired combat actions from your toolbar. The macro below could be added to the 1st slot of your toolbar, then just type 1 to run it. It runs actions from your 4th slot, 6th slot, and 5th slot. Feel free to modify it as you need for your most common combat actions to perform. Mine was for a tka to knockdown the npc then beat it to death before it tries to get up. For looting I do it one or two ways at the same time. One macro I call simpleloot and have it running almost always. This macro will loot your currently selected target. So after killing the mob it instantly tries to loot it so you can them move on without having to return to the group and reclick on dead mobs. To loot without having to have the mob targeted you can run one I call afkloot. I usually have them both running at same time. This macro can cause problems if playing around others as it will always try to find the nearest corpse to loot. It is good to run in a controlled afk setting, or while at the keyboard but not wanting to reclick every mob to loot them. To target enemies nearest to you without having to click on them the below will try to target what it can see nearest to you on screen. It will not target anything off-screen so plan accordingly. For anything you need running on a timer assign the command to toolbar or call it directly in the macro using the text shown over the action. The below runs center of being on a 17 second timer for my tka. If you are away and get knockdown there isn’t usually anything that will try to pick you back up automatically, so if planning to go afk in a relatively safe place just have a stand command running on a timer to prevent falling down and not being able to get up situations. It is on a long timer designed to be started before you need it. Timer should be adjusted depending on strength of npcs. Many can kill you if on the floor just a few seconds. Those are not the type of NPCs I would recommend fighting afk. If you roam around while afk, or mobs do, or you want to navigate up to mobs without having to move around manually you can use a follow target macro (in combination with your target macro). If you survey while afk then stand up for combat you will shift away from your mobs eventually so this is recommended. If attacking group mobs afk, your spin combat move is recommended for lower level mobs in groups. Ideally you will not be going afk against higher level mobs, but you can decide and adjust accordingly. I run this one at the keyboard often as well. On different toolbars it works as my medic heal, but in combat I have it on my unarmedspinattack2 command. This just runs one of my most used toolbar commands the lower toolbar slot 2. You can adjust pause as desired. If you want to run all these macros with one keystroke instead of starting each manually and accidently forgetting a step, just have the calling of the macros be a macro. The example below would start them all. Pets can be talked to telepathically using the /tellpet command. To use these macros; either change the text to match your pet’s command, or train them to use the below command. The first thing after calling your pets is you usually want to group with them. I do this for all pets except harvester droids as they seem to get hit more often when grouped which is something you do not want to happen as it tends to make it scared for some reason. I do not see why you would program a harvester droid to get scared though, but that is not really part of this feature. The next most common thing to tell a pet is to attack. Pets are very difficult to manage during complex combat situations. They see you out there dying and just wait for you to beg them for help. You can instead have them always attack at your side by continuously running a pet combat macro. The pet or pets will then always be trying to attack what you have targeted. These pets have all been trained to use attack for main attack, sp1 for special one, and sp2 for special2. Adjust accordingly. You can also tell specific pets one at a time if you like to have a tank pet always go in first , adjust macro if so. The only other pet command I have in toolbar is a command to recall my pets. This also requires the pets be trained to use command follow to follow you. Flourishing is the only way which to gain xp. It maxes out at 2 flourishes every 10 seconds needed for max xp gain. For automated buffing cycles the following can be used and song or dance changed according to your level and desire. To automatically send out a group invite to when anyone sends you a text use the following macro. This ruins your chat tabs and leaves you without control to type so not recommended unless afk buffing. If any of these macros need to stop , or start making a mess , type the /dump command in chat or turn it into a macro. Feel free to post your own macros in this Friday feature for others to use or modify these for your own personal use. Thanks and happy Macroing! One final addition. 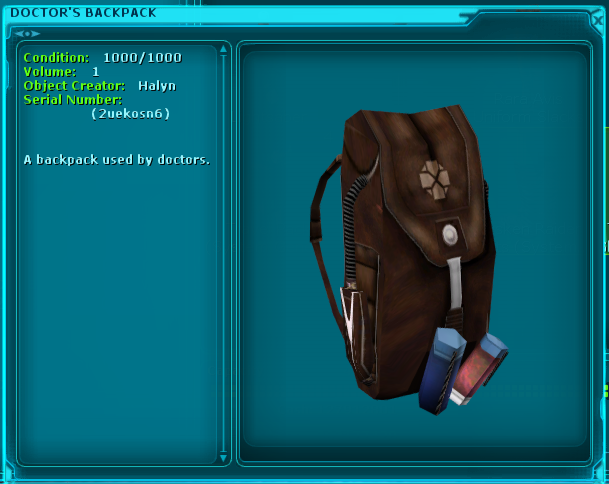 Halyn found this on the Mod the Galaxy forum. It is another way to manage macros outside of the game!